Motorized window treatments from Speedwell Design Center provide a safer and more efficient option to replace traditional window treatments. The fully enclosed motorized blinds encapsulate the treatment, reducing dust and eliminating dangerous cords, making them perfect for homes with small children or pets. 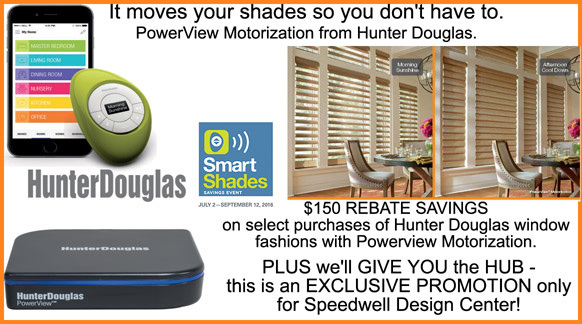 The range of features available with the PowerView line from Hunter Douglas makes them the obvious choice for your home. The PowerView line features the latest in PowerView Motorization, an engineering feat that won the prestigious Red Dot Design Award in 2018. The design includes a mobile application that allows you to control the shade position from anywhere in the world. No more worries about being able to close the blinds during the hottest part of the day, providing you a cool oasis to come home to in the evening. There are many ways to customize your windows with motorized blinds, window shades, and curtains. These categories have their own styles options including vertical blinds, roller shades, roman shades, and privacy sheer curtains. 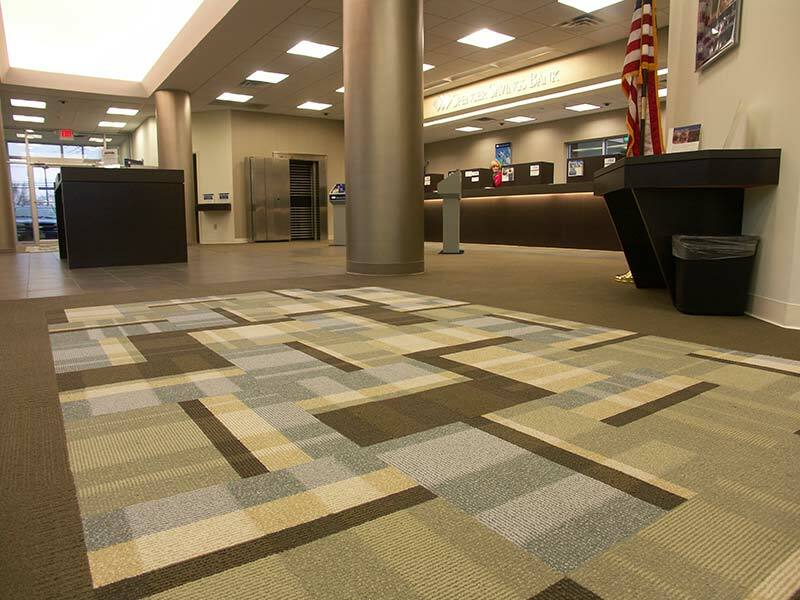 They also come in a variety of materials such as wood, metal, and fabric. There are infinite ways to create an ambiance to suit your style. Our staff can help you in the design process from choosing the right style to fit your needs, taking measurements and installation. Easily create your favorite ambience by connecting PowerView® Motorization with cloud operated smart home systems. Integrate PowerView® Hub features with some of the most popular home systems including Amazon Alexis, Google Assistant, and Nest. Your smart device isn’t the only way to control your motorized window treatment. The PowerView line is equipped with the PowerView Pebble and the Pebble Scene Controller; each programmable remote control allows you to create up to six groupings of window treatments. Not only can you control the individual motorized window treatment, you can control entire sets of windows at the touch of a button. The Scene Controller gives you simple access to the scenes you’ve created using the PowerView App. The remote comes in any of seven trendy colors to match your existing decor. Either remote can be wall mounted for convenience. The ability to control your room’s lighting, ambiance and mood remotely is just the beginning. With PowerView’s Scene Controller app, you gain the ability to schedule specific settings throughout the day. The blinds will automatically adjust to allow the maximum natural light into your rooms throughout the day, or close out excess light during those times you want more privacy. Whether you’re home or away, the blinds will automatically adjust to your pre-set settings, allowing you full control of your home’s lighting. An expert installer from Speedwell Design Center will be happy to guide you through the options. Contact us today, to schedule your consultation.